Who says museums have to be grey and drab affairs? At the Fashion and Textile Museum, your visit will be full of colour. While fashionistas will be at home here, all visitors (no matter what your fashion sense) will learn something new. Exhibitions change very quickly, which makes repeat visits a must. Often these exhibitions take a different slant when it comes to fashion – some tackle a specific historic angle while others will highlight a certain design technique. Some displays focus on well-known designers. However there are plenty of displays where the designer is not known (this is especially true for exhibitions based on different cultures or periods in history). Along with the educational exhibitions, there are plenty of opportunities to learn a bit more about fashion through the museum’s numerous talks and events. 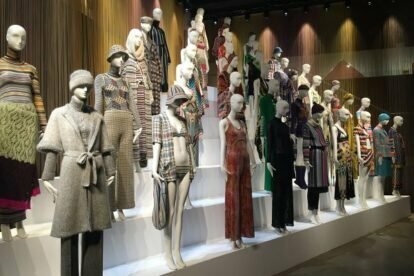 Even if your mother still dresses you (don’t worry, we won’t tell anyone) this Fashion and Textile Museum is worth a strut!